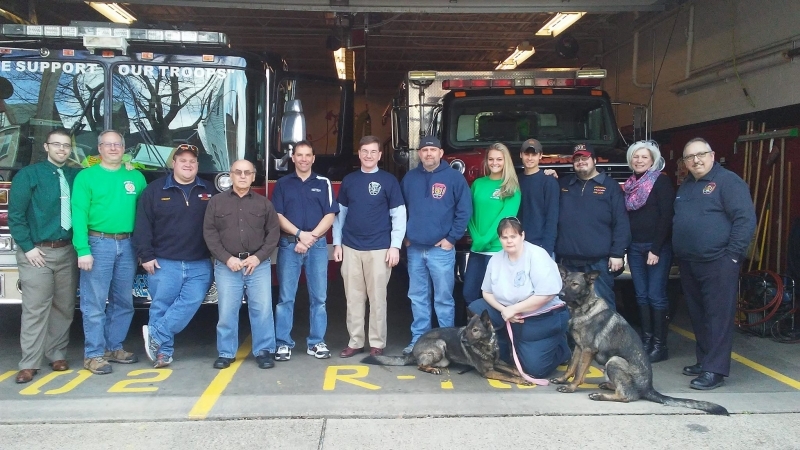 Your Aspinwall Volunteer Firefighters had the pleasure of welcoming to our firehouse today the Honorable Keith Rothfus, a member of the United States House of Representative for the 12th District of Pennsylvania. While in the area, he stopped by to meet some of the men and women of the Aspinwall VFD and Aspinwall Borough Council's Public Safety Chairwoman, Ann Pawlikowski. Mr. Rothfus had many questions for our firefighters and junior firefighters. He was given a tour of our fire station by Chief Gene Marsico and Mr. Rothfus joined us for lunch. While talking with us today, he learned more about us as volunteers and he shared with us a story of how he donned on fire gear, in Cambria County's fire training facility. We would like to extend our thanks to Congressman Rothfus and extend our appreciation for the time he spent with us today.